It’s hard to believe that Emanuele Farneti has been at Vogue Italia for a little over a year now. Exactly 12 months ago, a glorious Grace Elizabeth cover introduced the magazine’s new look, but it has been a slippery slope ever since, from a bland Steven Meisel cover back in March to Gigi Hadid‘s controversial cover in May. 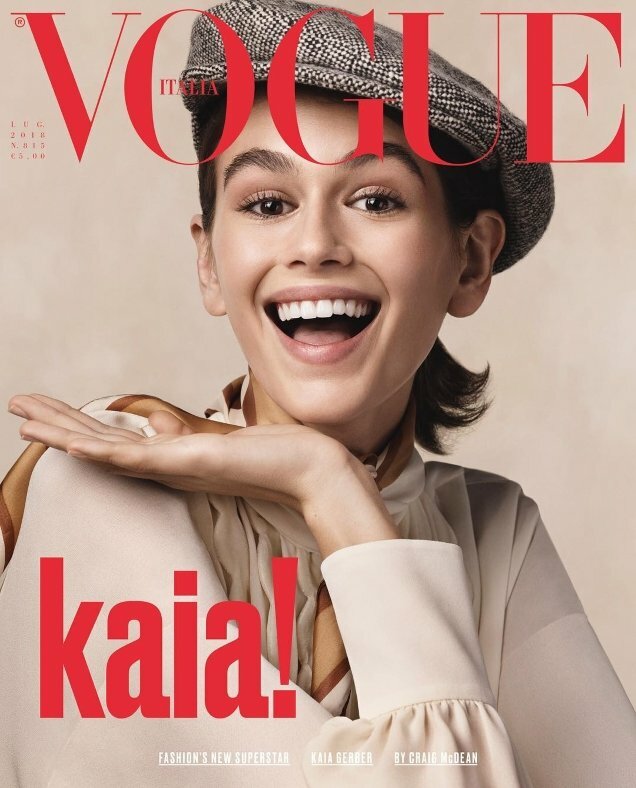 Now, following last month’s rather lifeless and depressing trio of covers, a joyous 16-year-old Kaia Gerber appears on two covers for July 2018. The current face of Moschino and Saint Laurent wears Valentino in both images, one photographed by Craig McDean (below) and the other by Collier Schorr (after the jump). 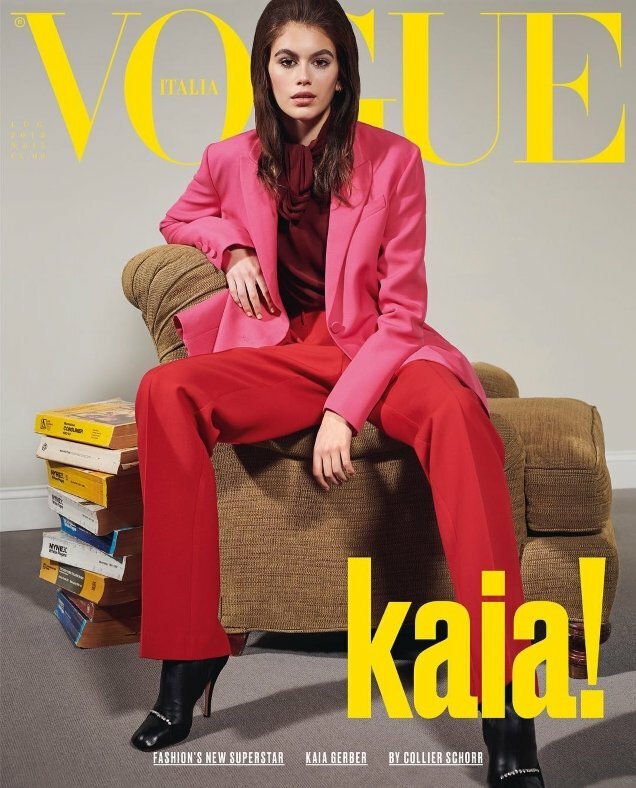 Kaia’s cover appearance sparked a few questions amongst our forum members. “I thought Condé Nast banned underage models from appearing in their magazines?” asked gunsnroses upon taking in the cover. “When this girl is aged 19-22, her proportions will even out and her beauty will really begin to blossom. Too bad that she’ll probably be bored of modeling by then, having done it for five or so years at that point,” tigerrouge chimed in. “I see they’ve recruited a new member for the Looney Tunes,” mocked Nymphaea. Also not feeling it was forum member HeatherAnne. “She looks like she’s 10. Remember when Vogue Italia was the bold edition of Vogue, so commercial now,” she sighed. “STOP shoving her down our throats! She might blossom into a good model, but as of now I have no interest! Who are they trying to appeal to with this silly cover?” asked Miss Dalloway. “Poor girl, this is so bad and it’s not even her fault. Vogue Italia is dead. This is ridiculous. I just can’t take them seriously anymore,” exclaimed guimon. GivenchyHomme didn’t hold back either. “This is Vogue Italia, not Gap Kids. This is not appropriate for this title. It should be radical and forward-thinking. This cover is comical and hideous. They missed the mark on this one,” he said. See more from Kaia’s cover shoot and what else the issue has to offer here.